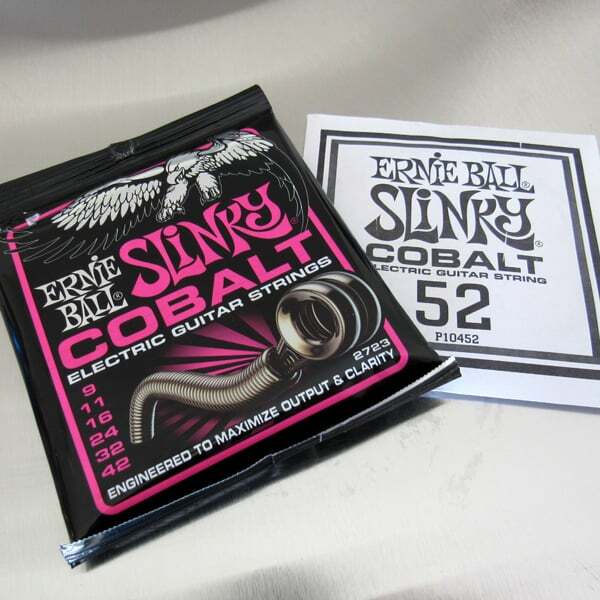 I use Ernie Ball Slinky Cobalt strings (9 – 42) plus an added 52 for the low B string on all my tremolo-equipped guitars. Since Ernie Ball doesn’t make a 7-string Cobalt Slinky set in the gauges I need, I have to special order single 52’s separately. I love the sound of Cobalts. 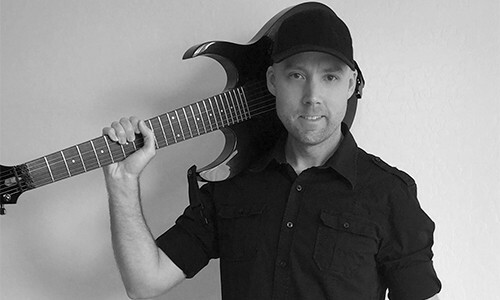 They’re audibly brighter, crisper, and louder than other electric guitar strings and they hold up to abuse. I can confidently say they’re the best sounding strings I’ve ever played, and I’ve been using them exclusively for about 4 years now.